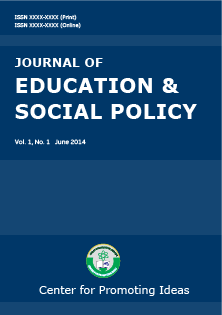 The conception of Non-Formal Education (NFE) as short-term education programmes capable of promoting rapid developmental change and adjustment arose from the realization that formal education would not be able to fully address the basic needs of people in the complex process of development. Non-Formal Environmental Adult Education (NFEAE) serves both the general purpose of NFE and, with special approaches, the overall concerns of Environmental Adult Education. Nigeria’s grassroots/rural populations face various environmental degradation challenges traceable to the rural peoples’ life styles and unsustainable exploitation of their livelihood assets. The purpose of this paper is to articulate the NFEAE strategies and communication techniques desirable to effectively address the rural anthropogenic environmental challenges. After further stress on the importance of the highlighted strategies and techniques, the authors finally recommend their adoption in any effort to solve grassroots/rural anthropogenic degradation challenges in Nigeria and other similar environments.